Last Saturday saw some of Australia’s best musical talent go head-to-head as the ‘Australia Decides’ competition determined who would be our 2019 Eurovision contender. Here at Awards Australia we were biting our nails as two past Young Achievers made their way into the top ten, and we couldn’t have been more pleased when we saw both take out the top two places. Runner-up was 2016 South Australian Young Achiever Awards Finalist Zaacharia Fielding, performing with Michael Ross in the duo Electric Fields. Zaacharia was one of our top four finalists in 2016 for the Department of Human Services (formerly Office for Youth) Aboriginal Achievement Award. His song, 2000 and Whatever, wowed Eurovision fans with its soul-pop vibe and a blend of English and Anangu, the traditional language of the Anangu Pitjantjatjara Yankunytjatjara people. Taking out first place and paving the way to become the second of our Young Achievers to stand on stage representing Australia at Eurovision was Kate Miller-Heidke. In a jaw-dropping performance that combined Kate’s theatrical experience, incredible costume design and her beautiful voice, Kate sang Zero Gravity. If you haven’t seen it already, be sure to watch the video – it’s truly something special. Kate Miller-Heidke is no stranger to success, with many ARIA and APRA Music Awards nominations to her name and having won four different Helpmann Awards over the years. However, for us it is her Young Achiever Awards win that sits closest to our hearts. As a National programme established in the 90’s to recognise, encourage and reward young Australians, the Young Achiever Awards have over the years uncovered and supported amazing young talent throughout Australia. Other winners of the programme have included Human Nature, David Campbell, Vanessa Amorosi, Slava Grigoryan and last year’s Eurovision contender, Jessica Mauboy, who was first nominated at just 15. The Young Achiever Awards is a platform for young Australians to further their careers and have their achievements recognised in the arts and other many other categories. Awards founder Jeffrey Hopp was pleased to see past winner Kate Miller-Heidke win the opportunity to represent Australia at the Eurovision song contest in 2019. Kate Miller-Heidke won’t be the first of our Young Achievers to compete at Eurovision. Last year saw Australian favourite and two-time Northern Territory Young Achiever Awards winner Jessica Mauboy take to the stage. Jessica Mauboy won the Charles Darwin University Arts award in both 2004 and in 2007, celebrating her brilliant artistic achievements and recognising the incredible imagination, initiative and flair required to produce such inspirational work. This year heralds a new generation of Young Achievers, with the judging for many states either currently underway or recently completed. We’ll be announcing our 2019 Young Achiever Award Winners for each state and territory at the Awards Presentation Gala Dinners in the next few months. 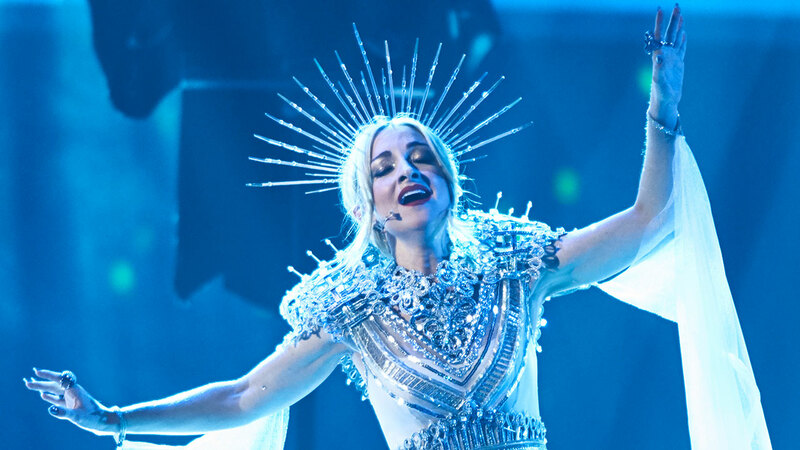 Meanwhile we can’t wait to see Kate Miller-Heidke on stage again at the 64th Eurovision Song Contest, running from Tuesday 14 May to Saturday 18 May in Tel Aviv, Israel.